I collect tenugui hand towels. I don’t remember when I started –perhaps 15-20 years ago- but last time I counted them, my collection was somewhere around 300-400 pieces. Most of them I have bought but, especially since I came to Japan, there are also many that I have found (particularly during Asakusa’s Sanja Matsuri), or have been given to me as gifts. I don’t discriminate: I’ll take anything, from the most banal and crude advertisement to the most well-crafted artwork, from the plain black and white to the colorful, from the classic to the modern, from the old to the new. I like them for what they are and for how practical they are because, you see, I use them. I have one always on me, change it every 2-3 days and use it every time I get the chance –as handkerchief, towel, headband, wrapping material or anything else I can think of. I’m writing this to explain that for me, the idea of collecting something you aren’t going to use doesn’t make much sense. (Besides tenugui, the only other thing I’ve been collecting steadily since I was a teenager is books, also an object meant to be used.) Of course there are objects that don’t have a practical aspect, that are just meant to be appreciated for their aesthetic value (I guess in the case of those, “using” them means having them somewhere you can see them all the time –I wouldn’t know since I don’t really have any such items) but when we’re talking about objects that are meant to be used, this aspect will always trump any other in my head. Form follows function and all that. Which brings me to nihonto, i.e. 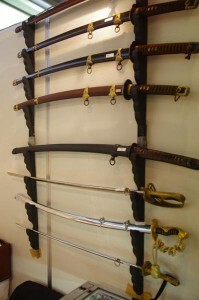 Japanese swords. 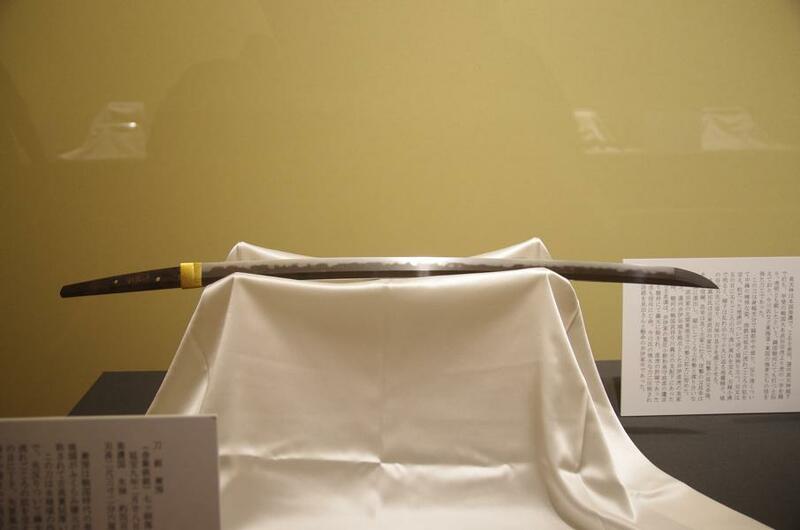 Like most people who are involved in Japan’s martial arts, I too share the belief that they are superb examples of craftsmanship and among the most sophisticated cutting weapons devised. 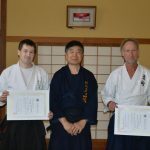 But at the same time, I could never understand the people who are involved with them without practicing martial arts. I mean, I can see why anyone would appreciate the work that has been put into their making or the historical value of some antique pieces but hey, they were and are tools right? If their functionality isn’t appreciated, aren’t we doing injustice to the people who made them? 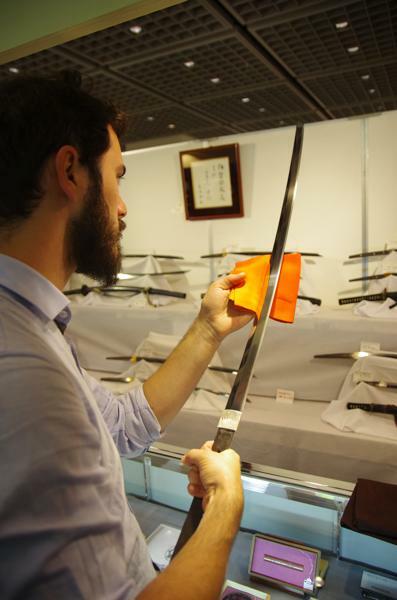 The smith and the polisher devote days to make the nihonto sharp beyond any imagination; doesn’t their work go to waste if the sword stays inside a glass case and never cuts anything? 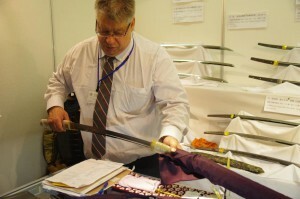 Thoughts about swords and collectors come naturally when you are on your way to the Dai Token Ichi, Japan’s biggest sword expo, held in Tokyo’s Shimbashi; I had been to the event before but this time it was for “Hiden” and with the mission to help document –and perhaps decipher- non-Japanese’s fascination with the nihonto. 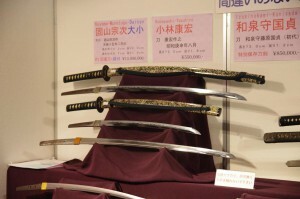 I was glad to do it because, well, I do like swords and the expo is the best way to find myself surrounded by hundreds of the best specimens in Japan spread in two floors and 71 booths. 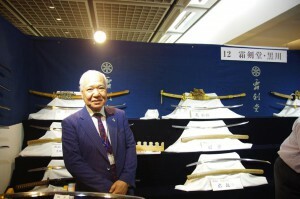 At the same time, I was a bit preoccupied because I know I’m not like most people who participate (and visit) the Ichi: I have one sword which I use almost on a daily basis and I don’t really see myself getting another one –and certainly not one of the masterpieces exhibited in Dai Token Ichi’s booths. 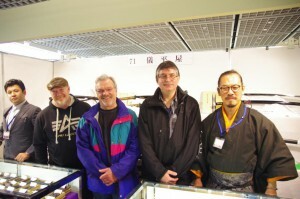 My colleagues at “Hiden” were right about the non-Japanese: at least one third of the people doing the rounds (and manning a couple of the booths) were in fact Westerners. 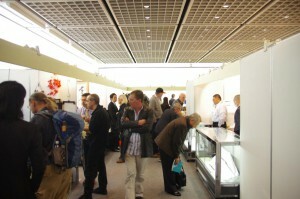 People from Australia, Belgium, France, Russia, the UK and the US were coming and going, discussing blades, examining them from up close, asking questions and negotiating prices; from what several dealers told us, the number of non-Japanese attending increases every year and so does their level of knowledge. 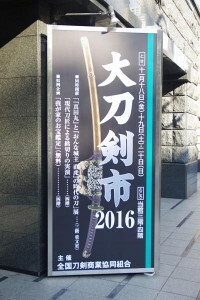 The Internet is certainly one of the factors contributing to this phenomenon but so does globalization and the availability of more information about Japan and its culture: in the second decade of the third millennium, there are very few people in the West who don’t know about the samurai and the weapon that has become their symbol. 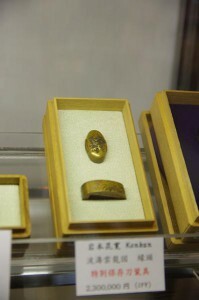 Things are equally balanced between an interest in history –especially late 19th-mid 20th century history- and financial gain for Andrei from St. Petersburg: he is a collector and semi-professional dealer focusing on swords after the Edo period. 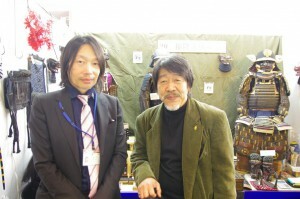 “I first became interested because of the Russo-Japanese War of 1904-1905” he says “and although most collectors usually snub gunto (i.e. 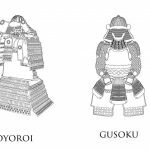 swords of the Imperial army) I was fascinated by the idea of mixing the Japanese and the Western approach and started collecting them. 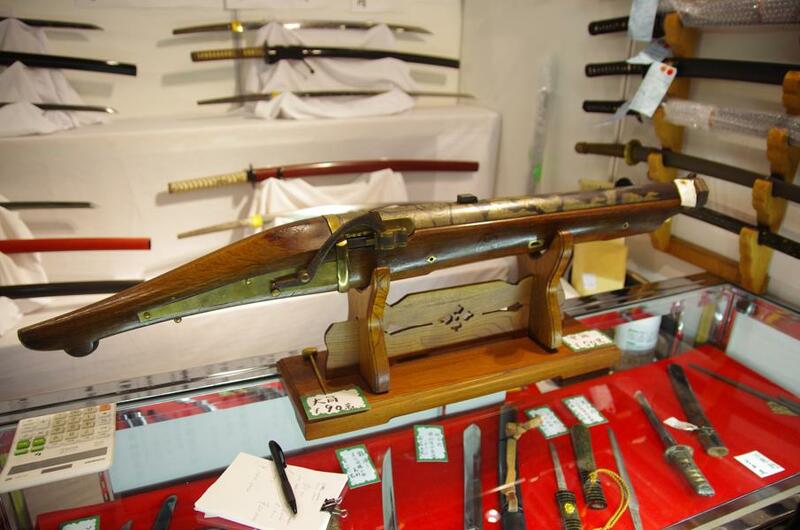 Price played an important role: these are much cheaper swords so building a collection is easier and with time I came to own over a dozen; from there, getting involved in selling them came naturally. I still collect though: despite them being mass produced, they still have character and this is a testimony to Japanese craftsmanship. 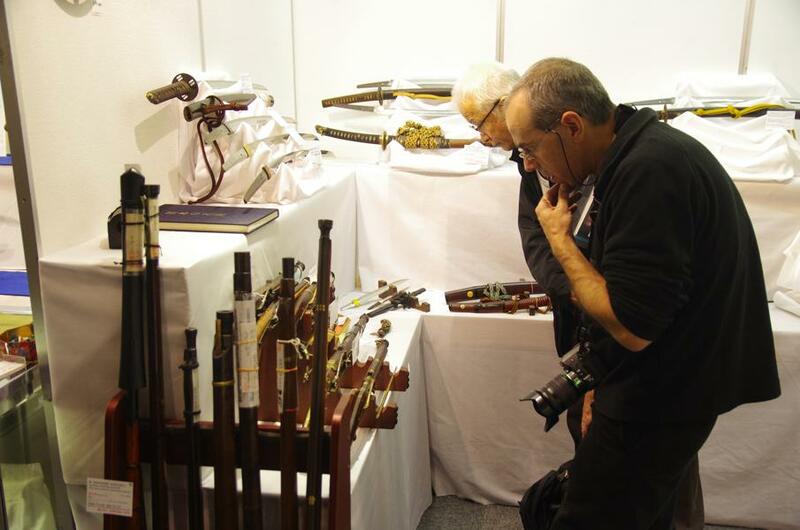 My colleague from “Hiden” and I, kept walking around the booths, listening to conversations, starting our own and of course looking at and handling weapons –the Dai Token Ichi isn’t just about swords and this time I had the opportunity to get my hands on some hinawaju matchlock rifles; especially some of the bigger, heavier ones were a real challenge even for someone who has handled firearms before (like most Greek men, I have served in the army so I’m somewhat familiar with weapons). 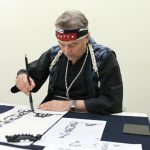 Even though the atmosphere is much more reserved than that of folk fairs, here is something in the air in this event and it’s contagious: the love for the nihonto and the culture that created (and still creates) is almost palpable and so is the knowledge about them. Even without asking, you know that these people live and breathe swords. 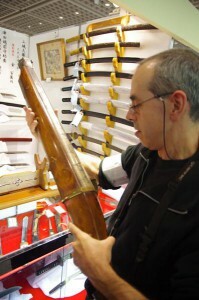 The martial arts were the reason Robert Hughes came to Japan from Canada, 30 years ago; being the only booth manned by a non-Japanese only, the Kamakura based dealer/restorer is one of Dai Token Ichi’s oddities but between his job as an educator, his extensive martial arts background in iai and karate and his involvement with swords, Mr. Hughes has become one of those “more-Japanese-than-the Japanese Westerners”. 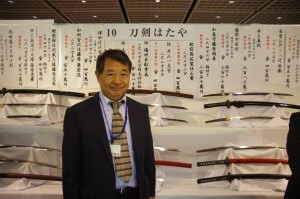 And he confirms our assumptions: yes, more non-Japanese attend the expo with each passing year, yes, between them there are now people so well versed in the minutiae of the swords that they would put many Japanese to shame and yes, being a martial arts practitioner gives you a unique perspective on the sword since you can immediately appreciate its functionality. 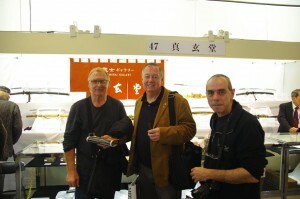 Steve, Patric and Josh from the US aren’t martial arts practitioners –they just love swords and particularly koto (i.e. 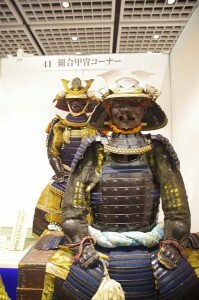 made from mid-Heian to late-Muromachi periods). 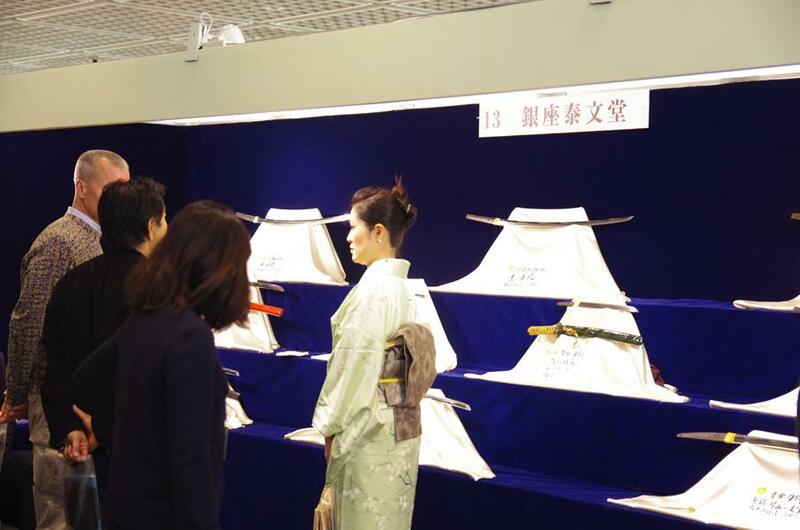 For the most part they satisfy their hunger through US-based dealers but once every 2-3 years they come to the Dai Token Ichi less to buy and more to feat their eyes on the incredible collection of magnificent blades. According to Josh, “There’s something very basic in those early swords: you see that these are primarily weapons made to shed blood on the battlefield. 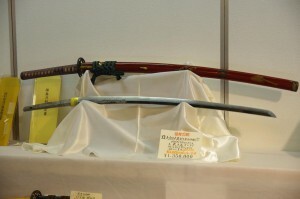 Still, they have a special beauty that transcends their lethal “nature”; you still remember they are instruments of war but at the same time they are works of art.” The three friends also stress that swords are a great way to get started in Japanese culture: you learn about the sword, then about its owner, about the area and the era he lived in and without realizing it, you have immersed into Japan’s history. 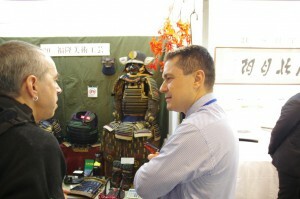 More swords, more armor –especially kabuto helmets- more books and documents and business cards and discussions about this period or that region or the other swordsmith; it’s amazing that 10 minutes from Shinbashi with its office workers and its izakaya there is this whole universe with a history going back 1000 years and with dozens of fields of expertise. 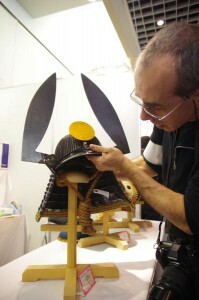 There are people here who can tie kabuto helmet himo (cords) in ten different ways –and know why all these ways were invented- or people who can polish a piece of steel until it becomes so sharp it will cut a piece of paper that just falls on it or people who can tell the area a blade comes from just by looking at it. 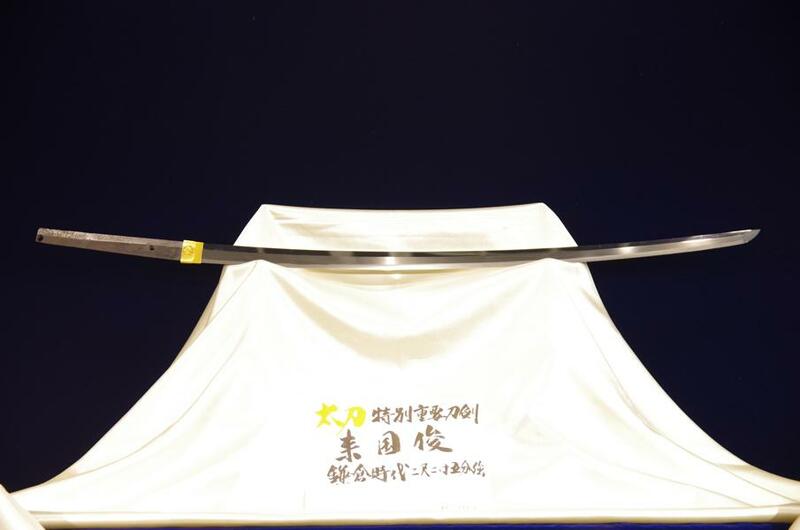 And there are people eager to pay tens of thousands of dollars for one of these blades, for one small piece of the wonderful puzzle that is Japan’s history. And then there are present day tosho (i.e. 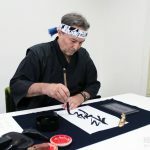 smiths), the people who mix earth and fire and create the blades that after 500 years will be the masterpieces demonstrated in that year’s Dai Token Ichi –and with them the polishers and the other craftsmen who make a sword, a sword. 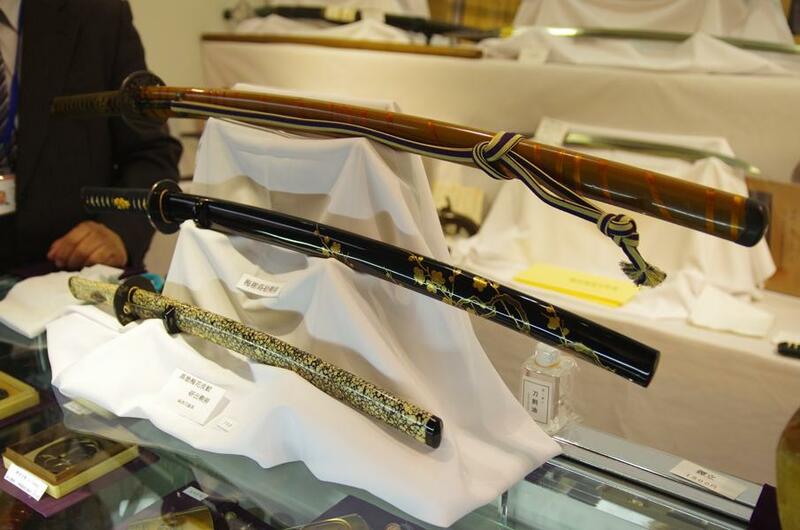 Following the footsteps perfected by 30 generations of craftsmen before them, these people have one foot in the past and one in the future, keeping alive one of Japan’s most revered traditions and creating objects of incomparable beauty and function. Even though they know that for the most part, this function will not be tested in the way it would even 100 years ago. 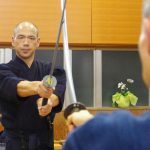 It’s hard to not be moved by the noble vanity of this endeavor; at the same time, no one in their right mind would wish we still lived in an era where a sword would be used on a daily basis! 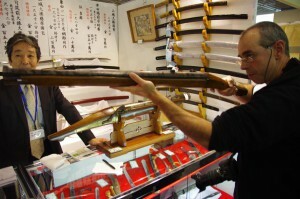 History, beauty, a link with Japanese culture, an investment, exoticism –even function, for some: the reasons why people from all over the world get drawn to nihonto, often overlooking similar traditions in their own cultures (Europeans were using swords for centuries and there were –and are- sword-making traditions that certainly worth attention) vary. But fascination with this extraordinary example of Japanese craftsmanship and technical ingenuity grows with each passing year (according to the people at the shops, attendance to the Dai Token Ichi confirms it). 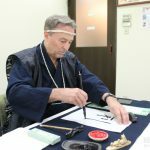 Japanese swords are all over the world and become the rosetta stones through which non-Japanese (and perhaps even the Japanese themselves) understand Japan’s past, present and, perhaps, future. 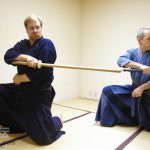 To the extent that understanding breeds peace, this is an interesting reversal of a sword’s main purpose –but isn’t this something we’ve also seen in the martial arts? 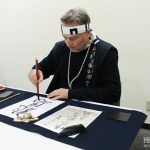 Former arts of war have become bridges connecting people and helping make the world a better place: who would have thought that in the height of the Sengoku Period when war ruled the land?